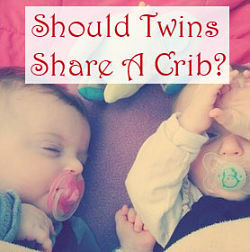 Parenting Twins » Should Twins Share A Crib? When you find out that you’re having twins or triplets, there’s a swirl of emotions – joy, excitement, and disbelief in particular. At some point the practical side of you speaks up: oh crap, how are we ever going to survive? Emotionally and financially, that is. Before we found out we were having twins, we were pretty confident. We had a little girl already and had just transitioned her to a toddler bed. The baby room was ready. We had a crib, a stroller, and a boatload of pacifiers. And then life threw a curveball: two heartbeats on the ultrasound instead of one. As for whether or not the twins would share a room, we really had little choice. There was only one room available! Besides, having shared a womb for 34 weeks, we expected they might not mind so much. Many parents of multiples are keen on fostering the unique bond that twins share, and we were all for it. Plus, it’s efficient. We keep the diaper changer, clothes, diaper genie, and other essentials in one place. And there are some adorable setups you can have for a shared nursery. Just check out our Pinterest board called Twins at Home. True, there are times when two babies in a room is inconvenient, such as when one wakes up crying in the middle of the night. For me, nap time is the hardest thing about two babies in a room, because inevitably one of them doesn’t want to go to sleep or decides to wake up after 45 minutes. Luckily, twins seem to adjust to one another’s cries and fusses. Often they’ll sleep right through it whereas any other source of noise would wake them up. We routinely manage to extract the wakeful twin while his brother snores on. One very helpful innovation in the past few years is the video baby monitor with multiple cameras. Some of these even transmit right to your smartphone or iPhone, so you can check on the twins from anywhere. Check out these wireless video monitor reviews for detailed comparisons of the bestselling monitors. Bottles and pacifiers. Yes, we had the high-minded goal of always keeping things separate. That didn’t last forever. Pack-N-Plays. For brief stints, our boys are happy to play together in confined spaces, as long as there are enough toys for both. Swaddlers and blankets. Usually the rule is “whatever you can reach” when we’re tucking babies in. Each twin has certain preferences, though. Clothes. It depends on the type of twins you have, but if you get two of the same gender, this is a big money-saver. Baths! Oh, the cuteness and fun of it. Toys, swings, and other baby entertainment. They’re pretty good about this, though there are disputes. More often it’s with the older sister, though. 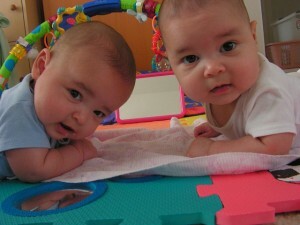 On a related note, see our article on 6 ways to contain and entertain your twins. Some things we do try to keep separate: bibs, for example, because that’s otherwise kind of gross. Also, each twin has an assigned car seat which just seems to make road trips go a little more smoothly. Another thing our twins don’t share is a crib. They each have their own crib and it’s assigned bedding, with the fussier one in the crib closest to the door. Safety was our primary concern: both our baby class teacher and the American Academy of Pediatrics recommended against twin crib sharing. Yes, it’s a common practice. But there’s an increased risk of SIDS when twins share a crib, and besides, the older boy outweighs the younger by a few pounds. The downside, of course, is that you have to buy two cribs and squeeze them into the same room. You might think about mini cribs, which are just like regular cribs (sturdy, wood construction, and stylish) but are about 30-40% smaller. That’s still plenty of room for even a 2-year-old. You’ll realize when you put your newborn into a crib for the first time that standard cribs are HUGE. 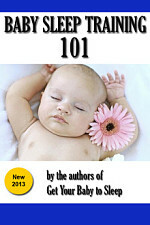 I found some nice mini crib and bassinet reviews that compare the most popular models. There are certain types of baby gear that twins can share…. you only need one bath set, bottle brush, diaper changer, etc. You will want to get a double stroller and you’ll almost certainly need two high chairs. Look into the Tripp Trapp Chair which converts from high chair to kid’s chair as they grow. But the toys, the blankets, and hopefully the clothes can be shared between twins. Many parents have been kind enough to offer us baby gear that they don’t need any more…. that’s a perk of having twins. Take that free stuff unless you’re certain you don’t need it! Worst case scenario, you can always pass it along to someone in need. I had identicals in 2014, it was recommended to us to crib sleep them together, in our room, by Public Health in our province in Canada. They said that studies show that twins and triplets do better together. They grow faster and they recover more quickly from illness. So we did and our beautiful girls did so great, we were close enough to respond quickly to them. They are now huge, happy, healthy 18mo girls!